Stick around in the fight game long enough and eventually you go from being the young buck climbing the rankings and chasing fights with veterans to playing the role of the elder statesman in that equation, fending off the advances of a new hopeful looking to take your place. 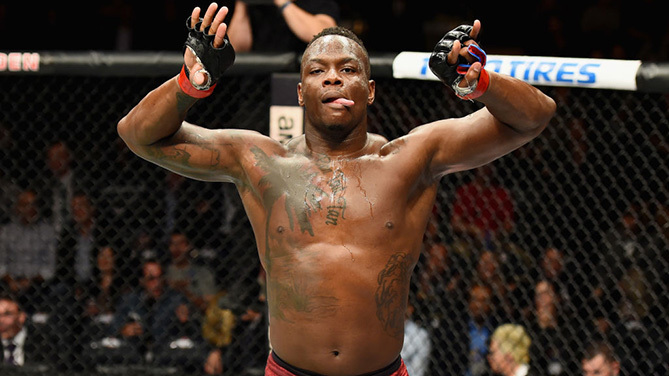 That’s the situation Ovince Saint Preux finds himself in this weekend when he takes on emerging Australian light heavyweight Tyson Pedro in the co-main event of Saturday’s return to Singapore Indoor Stadium for UFC Fight Night: Cowboy vs. Edwards. “I was that guy he is at one point in time,” said Saint Preux, who climbed the ranks under the Strikeforce banner before doing the same in the UFC. “If you look at the light heavyweight division when I first came in, a lot of the up-and-coming guys you didn’t know. While he acknowledges that the 26-year-old Pedro shows promise, the soft-spoken veteran simply feels like this is the wrong time for the charismatic youngster to be stepping into the cage with him. Earlier this year, Saint Preux got the chance to compete in his home state of Florida for the first time, taking on Ilir Latifi in a main card matchup on FOX. After nearly a decade plying his trade in the cage, it was a chance for the quiet kid from Immokalee to fight in front of a large group of friends and family. Unfortunately, things didn’t go his way. A power shot from the compact Swedish contender stunned Saint Preux and before he could regain his faculties, Latifi had clamped on to his neck like a set of vice grips, putting the hometown fighter to sleep with a standing guillotine choke. Never one to get too high with the highs or too low with the lows, Saint Preux doesn’t carry any regrets about the way things played out against Latifi, but the combination of coming off that homecoming setback and being positioned opposite a dangerous, young emerging talent in the division has him eager to step into the cage on Saturday. “Every time anybody fights at home, they want to come out with a great performance,” admitted Saint Preux, who has logged a pair of appearances in his adopted home state of Tennessee while competing under the UFC banner. “It didn’t work out in my case, but at the end of the day, it was something that I wanted to do. “I never had a chance to fight in my home state and I got the opportunity. It didn’t turn out the way I wanted it to, but it’s okay. This next fight is basically somewhere where I’m probably not going to have the home crowd here, but I’m back in my little bubble I like having where it’s quiet and there are only a select few of us and that’s all I need – just give me the three guys in my corner and I’ll be fine. Though he probably won’t be the local favorite on Saturday, Saint Preux is excited about the opportunity to compete in Singapore. Not only did he enjoy tremendous success the last time he fought inside the UFC Octagon in Asia, defeating Yushin Okami by Von Flue choke in the first round of their clash in Saitama, Japan, but as a martial artist and avid traveler, the chance to fight in front of knowledgeable, passionate crowds in the region where countless martial arts originated is always a welcome experience. “I love to fight in the Asian countries,” he said. “The support over here is ridiculous. I tell people all the time, when you talk about martial arts, so many of them originated within these countries, and to be out here again is ridiculous. He’s also planning on keeping it super-simple against Pedro on Saturday. “My coach said, ‘Get in his face and hurt him,’” laughed Saint Preux when asked about what he needs to do to emerge with a win this weekend. “Talent-wise, he’s a good up-and-coming fighter, but I don’t think he has the attributes or qualities that I have right now.